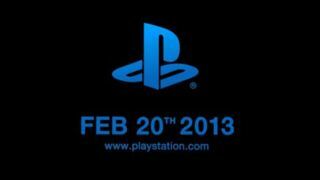 PS4 promises 'new styles of play': more motion control and social? It's less than two weeks now until Sony lifts the curtain on the PS4, and we're expecting even more impressive developments than the next-generation console's specs. A Sony exec promises the console will open up "new styles of play" that'll change the gaming landscape. The unnamed official told Nikkei that the next console will be more of a home entertainment "nerve centre" than previous PlayStations, with a focus on connecting to mobiles - something that Microsoft is also pursuing with its Smart Glass functionality. So what would this involve? Rather than pursuing pure processing power, Sony could make it easier to share your gaming exploits with friends with the use of a dedicated button. "One of the most exciting rumours surrounding the next PlayStation is the potential inclusion of a 'share' button that will make it easy to capture video and images from gameplay and send them to friends and social media," says Nathan Ditum, editor of PlayStation Access. "Rather than a raw power arms race or a novelty control method this would be a particularly smart step forward because it reflects what's important to gamers - one look at Reddit, Facebook or YouTube will show you that they're already sharing the one-off experiences that games deliver, and this will facilitate that and bring it to a wider audience." Recent Sony patents hint at a push towards more motion-sensor gaming too. The company recently patented a DualShock controller that splits in two to double as a PlayStation Move wand. And another patent suggests that the Move sensor could gain some ultrasonic location analysis skills, meaning far greater accuracy for full-body motion sensing in games. The image for the latter patent shows a man executing a bicycle kick while holding two Move wands, with a sensor strapped to his ankle. Just careful to move the coffee table out of the way. Throw in mobile connectivity for some second-screen action, and the next Xbox will have some major catching up to do. Even if it does turn on when you just say so.